Lidia Bastianich is renowned as one of television's most popular chefs, a restaurateur, and cookbook author. Today, she reflects on her journey, passion for food, and the expansion of her empire. Lauri Lyons: At this time, some of the world's most pressing issues surround war, displacement, immigration, and identity. Were you a World War II border child? Lidia Bastianich: I was born in Allied controlled Pola. At the end of World War II the victorious wartime Allied powers, negotiated the details of peace treaties and borders with Italy, Romania, Hungary, Bulgaria, and Finland. The Paris Treaty was signed on February 10, 1947. I was born a few days later. The area was under Allied supervision until June of 1947, when the treaty was ratified. Note: The Paris Treaty required Italy to cede most of Istria, including the province of Pola, where Lidia was born, to Yugoslavia. The area later became governed by the communists. Now more than ever borders are such a discussion and problem because people are kind of left in nowhere land, like the Jerusalem incident. If you were born in Jerusalem you are not Israeli or Palestinian, so what are you? Border people go through a lot. They are unidentified, and feel unsure for the rest of their lives, and ask "Where was I born? Who am I?" I know I'm Italian, but it's such a predicament after wars, and it's still going on today. I feel for all of these people around the world with the border situations and what they're going through with their families. Having to escape, hide, and hide your identity. If only they could sit at a table together and eat each other's food, and maybe come to some sort of moral understanding. Why do so many people have to suffer? Why is there continuous war? I'm a product of war. Lyons: You've become, out of circumstance and curiosity, an anthropologist? Bastianich: Yes, I attended classes and taught classes, in Food Anthropology at Pace University, with an anthropology professor. You can trace history by the architecture and food of a place. Food is one of those things that transcends and stays in the culture. Lyons: With several successful TV series, you're the queen of kitchen on PBS. What does your production schedule entail? Bastianich: My television production company, Tavola Productions, has produced over 450 episodes. I have a production team, camera men, and producers that I have been working with for years. 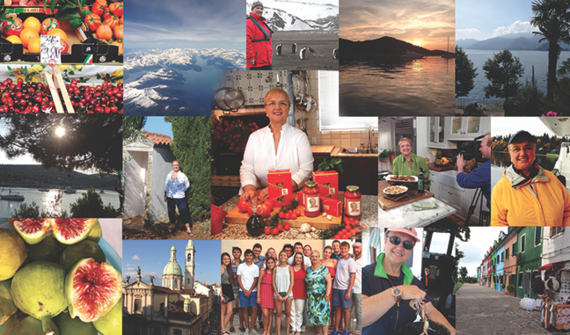 Our series includes Lidia's Italy, Lidia's Italy In America. We shoot 26 episodes per season. Each episode of our shows attracts 2-3 million viewers. We have a worldwide audience of 50 million. Last year we won an Emmy award. On December 11th, my new show Lidia Celebrates America will debut. The show is a Christmas time special in partnership with WGBH. It will feature four families special rites of passage, marking some of the most meaningful moments in life's journey. We learn about their culture and food, and at the end have a big group dinner. There will be special guests including Marcus Samuelsson and Stanley Tucci. Lyons: How do you feel about the foodie culture vs. processed food culture? Bastianich: I think one is a response to the other. With the industrial revolution the production of food was delegated to big companies, in order for women and men to be in the labour force, to come home, stick something in the oven and eat. It became a big industry that does not have a love affair with food nor is really concerned about nurturing you or giving you the right nutrition. They want you to buy and repurchase so they can make their money. It became evident in how we feel and the lack of what we feel, like getting together at the table. There is a nostalgia for the food that grandma used to cook. This is a very intelligent time we are living in. People are becoming knowledgeable and have access to so much information. They begin to realize that there is pleasure in comparing food and there is pleasure in eating food. I think it really comes down to the consumers. When the customer puts their money where their mouth is, when they go out, they shop, they cook, they have to buy the right ingredients. It might take a little longer, but I think we will get back on track to good healthy food and doing more of it at home. 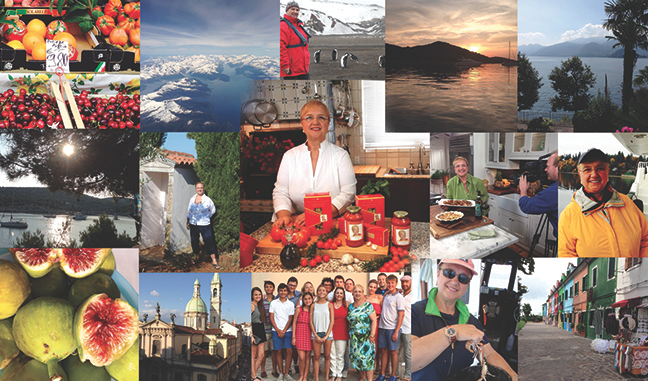 Read and listen to the extended interview with Lidia Bastianich at: NOMADS Magazine. Lidia discusses her life as a refugee, her personal travels, and TV show production. NOMADS Magazine is the creative travel guide for a global lifestyle. Lauri Lyons is the Founder of NOMADS Magazine, photographer, and author.